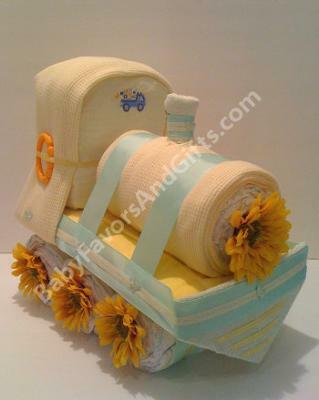 Our train diaper cakes make a great gift for a new baby or a beautiful centerpiece for a baby shower. These train diaper cakes can be made in other colors, too. 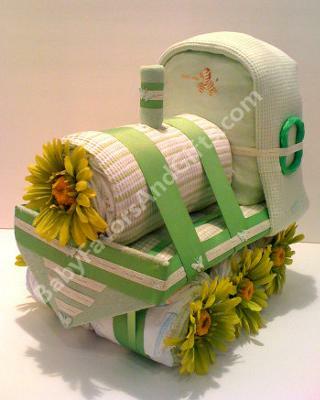 They are approximately 15"L, 10"W, 14"H.
All items in these beautifull train diaper cakes are 100% USABLE, the decorations may vary slightly.